Your NHL Goalie doesn’t matter (much)! 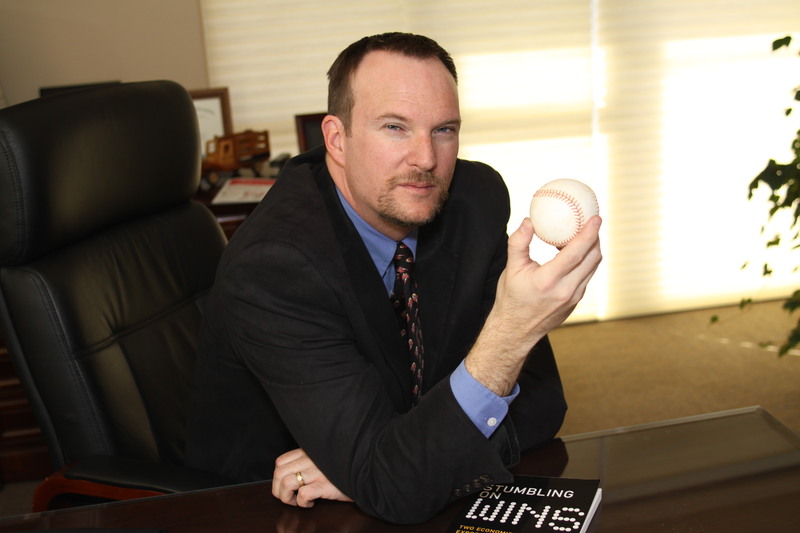 Dave Berri is the General Manager of the Wages of Wins Network. He is a Professor of Economics at Southern Utah University, where he teaches students by day and publishes papers on Sports Economics by night. 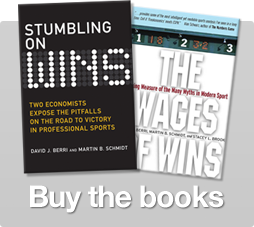 What follows is a post from him and co-author of “The Wages of Wins” Stacey Brook. Wait, it doesn’t matter which of us plays? Decision-makers in hockey primarily consider past save percentage — as opposed to a goalies past performance with respect to Goals Against Average (GAA) or wins — in evaluating goalies. Because GAA and wins clearly depend upon teammates (since GAA depends on shots faced and wins… well, it is pretty clear goalies can’t win games by themselves), save percentage would seem to be a better measure of goalie performance. Goalies, though, are very similar with respect to save precentage. In the population we examined for our study of salaries the average save percentage was 90.6% with a standard deviation of 1.2%. Not only are goalies quite similar with respect to performance, goalies also are quite inconsistent across time. We found that only 6% of a goalies save percentage in the current season was explained by the goalies save percentage the previous season. Because goalies are so inconsistent, a goalies current save percentage is completely unrelated to a goalies current salary. Grade goalies using the WAA metric – This is essentially a goalie’s save percentage compared to the shots faced and then measured in the impact of a goal on wins. (explanation at Hawkonomics – here). Put all goalies into quantiles and assign a grade (top 20% = A, 2nd 20% = B, 3rd 20% = C, 4th 20% = D, bottom 20% = F) This is a similar metric as used in the Wages of Wins for measuring NBA players, NFL Quarterbacks and MLB hitters. Martin Brodeur has only kept a grade of A (top 20%) four times and has moved one grade five times and moved multiple grades three times. In short, Brodeur is not a rock in goal. NHL goalies as a whole maintained their “grade” – stayed in the same quantile – 26% of the time, and moved either up or down one “grade” 34% of the time; thus about 40% of the time NHL goalies moved up or down more than one “grade”. Looking back at The Wages of Wins results, it appears NHL goalies are about as consistent as NFL Quarterbacks, are less consistent than MLB batters and much less consistent than NBA players. Let me close with how we illustrated this last point in the Journal of Sports Economics. After the 2008-2009 season, Brodeur had faced 25,126 shots and stopped 22,954; giving him a save percentage of 91.4%. An average goalie, though, would have posted a save percentage of 90.4%. In other words, an average goalie that faced 25,126 shots would have prevented 22,737.1 goals. Given the impact goals have on standing points, this 216.9 increase in goals allowed would have cost Brodeur’s employer (the New Jersey Devils) 66.9 standing points. In addition, because a win is worth two standing points, an average goalie facing Brodeur’s shots would have won 33.5 fewer games. After the 2008-2009 season, Brodeur had played 16 seasons in the NHL. So, an average goalie would have only produced about two fewer wins per season across Brodeur’s career. 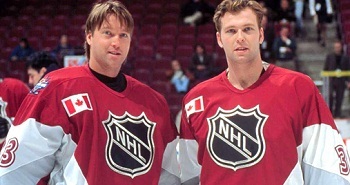 To put that mark in perspective, at the conclusion of the 2008-2009 season, Brodeur had 557 career wins; a mark that led all goalies in the history of the NHL. An average goalie, though, would have won 523.5 games. Such a mark would currently rank second on the all-time win list. This analysis illustrates the point we are making about the difference in goalies. One of the very best goalies in NHL history is simply not very different from an average goalie.When we couple this finding with the inconsistencies of goalies,we wonder then there are such large differences in the salaries goalies received. In other words, if there is very little difference in the performance of goalies, why would any team pay much more than the minimum salary to acquire a goalie? 13 Responses to "Your NHL Goalie doesn’t matter (much)!" You mention in the paper that you regressed previous years save percentage against current save percentage and only had an R squared of 0.06. I didn’t see any form used for this regression, was this done using OLS? I would be concerned about the interpretation of a simple OLS method for regressing save percentage and its lag. OLS makes no constraints about the dependent variable and since save percentage is somewhere between 0 and 1 this is problematic. A linear relationship where the coefficient estimated is different than 1 gives nonsensical answers because the model would be predicting outside of the 0 to 1 range even though those values are known not to exist. This makes sense that the R-squared would be very low using OLS but I don’t think its the approach that should be used. Either a probit or logit would make more sense in my mind. The overarching story of past performance not being a good predictor may very well still be true, I just have a hard time swallowing an R squared being 0.06. Do you know if a similar analysis has ever been done for soccer goalies? This is based on the fallacy that the best way to judge a goaltender is by save%. It isn’t This will be an interesting study when there is a better way to judge a goaltender. The difference between good goaltenders and bad ones (at the NHL level) goes beyond shot stopping, they can all stop shots, as Save % would show you.